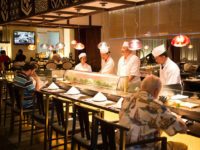 Following is a wide ranging selection of South Bay restaurants with links to their websites and to their Easy Reader reviews. 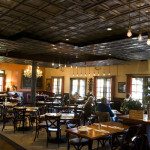 Restaurants interested in being listed should email Adrienne@EasyReaderNews.com. Offering Greek chicken (whole, half and skewers, gyros, stuffed grape leaves and Greek salads (with red onions, cucumbers, red bell peppers, feta cheese, Kalamata olives and pepperoncini all tossed in our Greek vinaigrette dressing), served with peta bread. 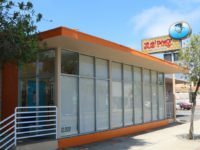 Two Locations: 251 Main St., El Segundo (310) 414-9000. 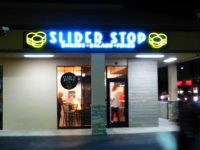 2515 Artesia Blvd., Redondo Beach, (310) 370-6010. 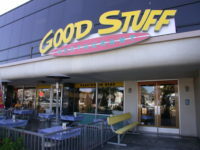 Family-owned Good stuff has been keeping beach people healthy for over three decades with its farm fresh food, long before there was a farm-to-table restaurant trend. 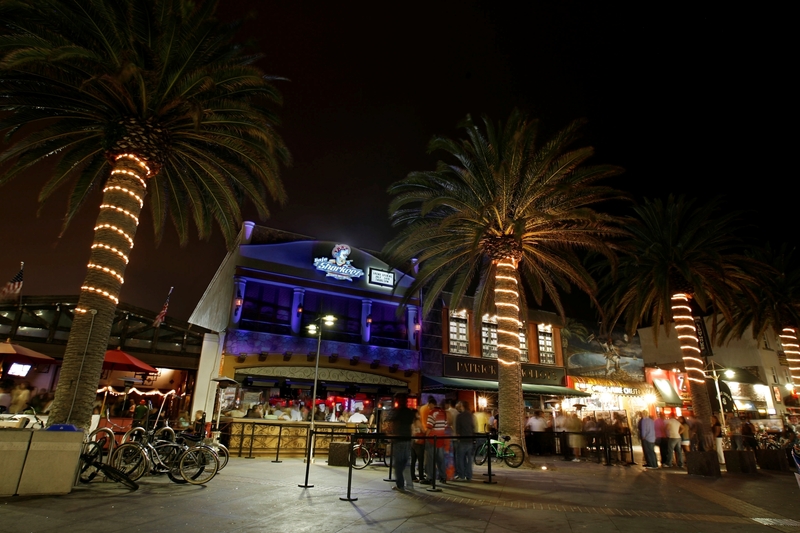 There are four locations: 1286 The Strand, Hermosa Beach. (310) 374-2334. 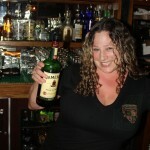 1617 Pacific Coast Hwy., Redondo Beach, (310) 316-0262. 131 W Grand Ave, El Segundo. (310) 647-9997. 550 Deep Valley Dr #151, Rolling Hills Estates. (310) 544-8000. 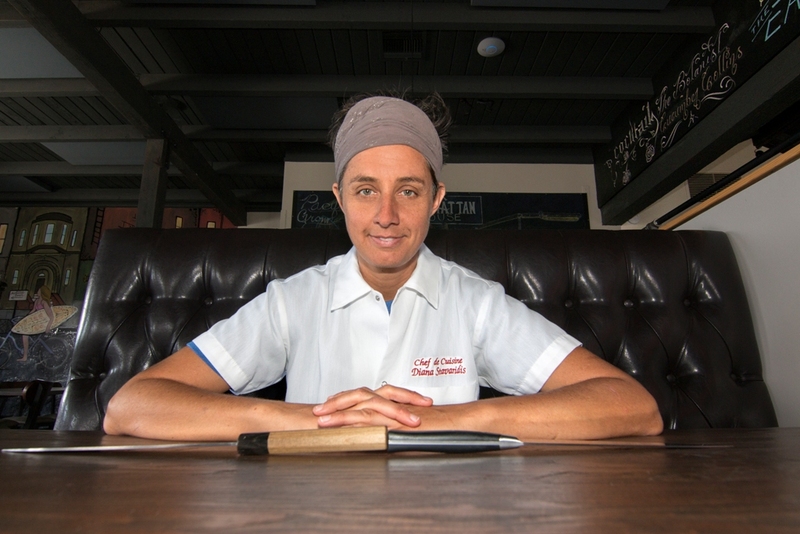 Chef Anne Conness built Sausal around a Spanish California cookbook written in 1898. 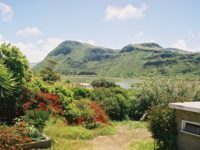 The result is a spectacular dining experience in which a native cuisine is combined with farm-to-table ingredients and brought vividly to life. 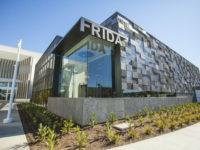 219 Main St., El Segundo. (310) 322-2721. 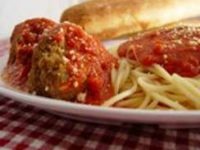 New York Food Company makes hosting a party easy – anywhere anytime! 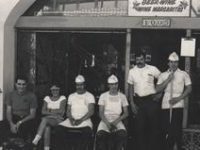 Our drop-off catering delivery service is what we have been providing since we opened in 1979, which has earned us our stellar catering reputation! 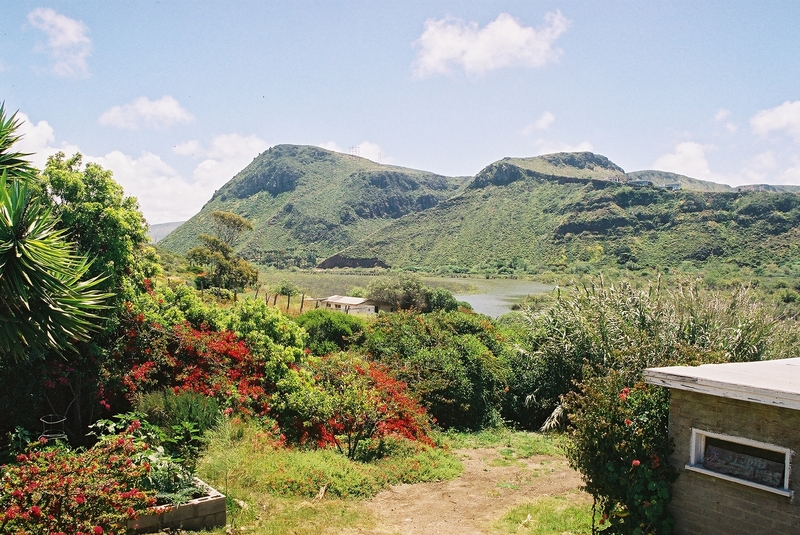 We use fresh local ingredients to prepare our delicious meals delivered to you and your guests. 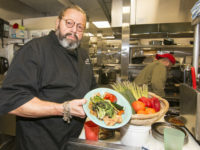 The focus at True Food Kitchen reflects the philosophy of co-owner and diet guru Andrew Weill and his partners restaurateur Sam Fox and Executive Chef Michael Stebner. Click the “about” tab on their website and the first three sentences mention nutrients, the anti-inflammatory diet, and healthy living. They also mention flavor, which is reassuring. 860 S. Sepulveda Blvd., The Point, Ste 100. (310) 469-7725. 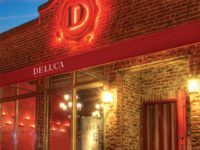 At Deluca Pasta, we aim to connect the neighborhood to a dining experience in the same way ingredients are connected to food: Wholly, and fairly. 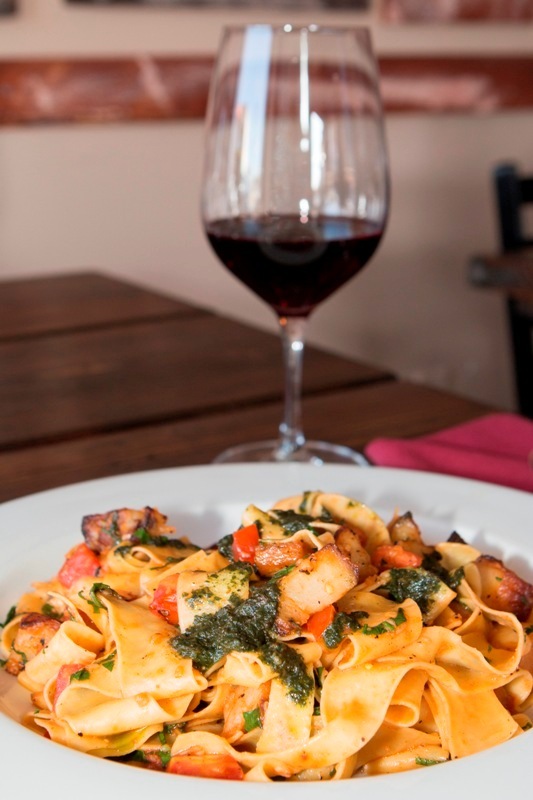 We provide fresh, handmade pastas and delightful dishes, utilizing healthy, unprocessed ingredients at a price accessible to everyone, where absolute guest satisfaction is the highest priority. For us, helping to weave together the fabric of the community is fundamental, and support of our brilliant local businesses and farmers is a key part of this. owners, and organizations that make up this amazing community. 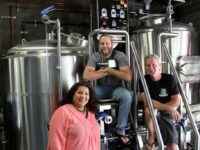 We’re especially proud to serve and support Blue Butterfly Coffee, Smokey Hollow Baking Co, El Segundo Brewing Co, and the El Segundo Farmers Market. 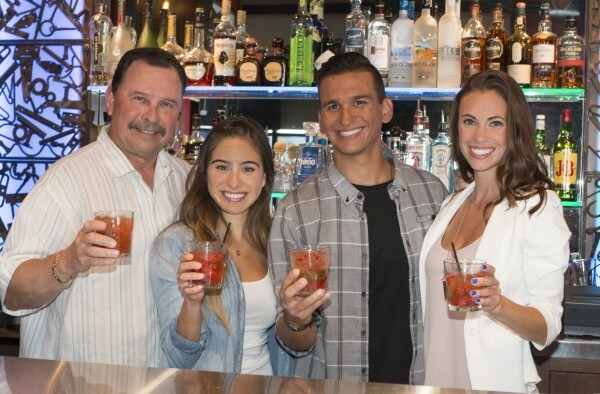 Home to our flagship original location, Rock & Brews – El Segundo opened in 2010 in the picturesque beach community of El Segundo, California. 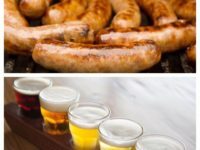 Serving local residents, area professionals, and rock and beer lovers alike, we offer American comfort food options with our own unique take. 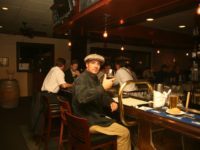 Our bar proudly touts the area’s most extensive list of local and international beers, and we highlight local brewers and offer their creations on draft. Everything on our menu is fresh, and our food is always made from scratch. We appreciate our local community and pride ourselves on using locally sourced ingredients as often as we can. 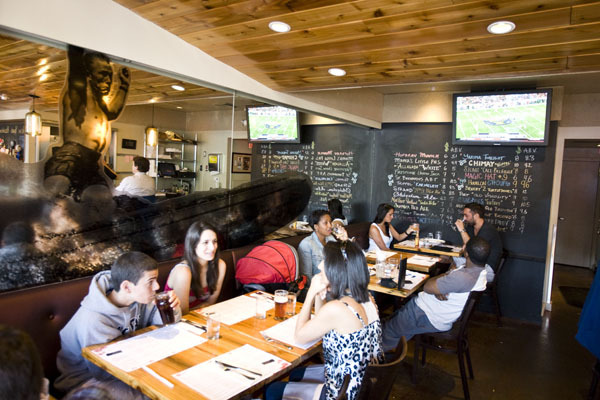 With an environment that is family-friendly, we invite rockers of all ages to dine with us. Even your four-legged friends will feel welcome on our outdoor patio. 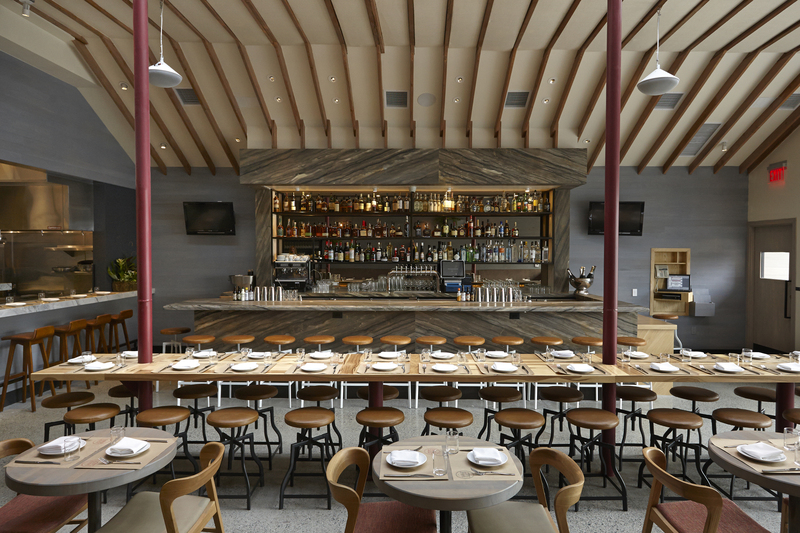 Check out how we redefine the American restaurant. 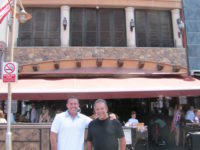 Serving the Southern California community, Petros offers generations of family recipes from Greece. 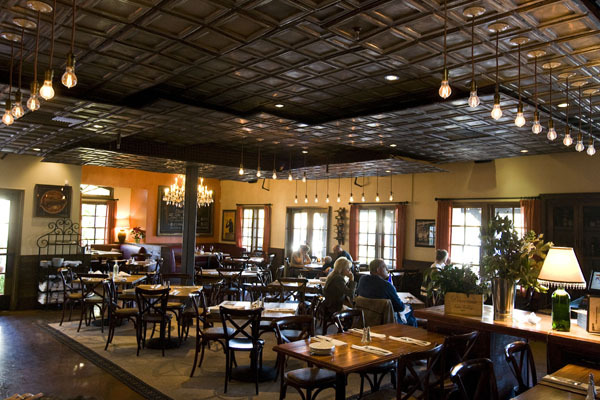 Our vine-ripe produce is farm to table from Petros’ organic farm in Los Olivos, CA. Handcrafting our own wine as well as importing cheese, olive oil and other key ingredients from Greece, has contributed to our award winning menu. 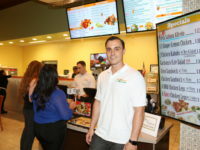 Join us at any of our five locations or let us join you at your next event with our catering and event services. 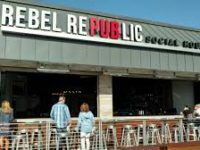 There are several dining areas — a bar area with stools and shared tables, lower and more formal booths near the window, and an outdoor area, a comfortable place to lounge and stargaze. 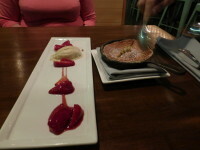 Much of the intriguing menu is seasonal; appetizers and small plates abound, but there are also full size entrees. The menu changes frequently. 1301 Manhattan Ave., Hermosa Beach. (310) 798-8227. 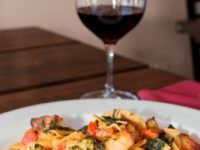 The Bottle Inn’s traditional,traditional rustic Italian cuisine has made it a destination restaurant for over four decades in Hermosa Beach. 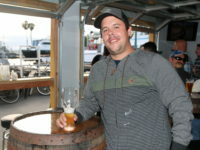 In 2014 the Bottle Inn’s sister restaurant opened in Redondo Beach and already promises to be match Hermosa’s popularity. 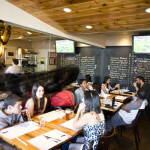 Hermosa, 26 – 22nd St., Hermosa Beach, (310) 376-9595. 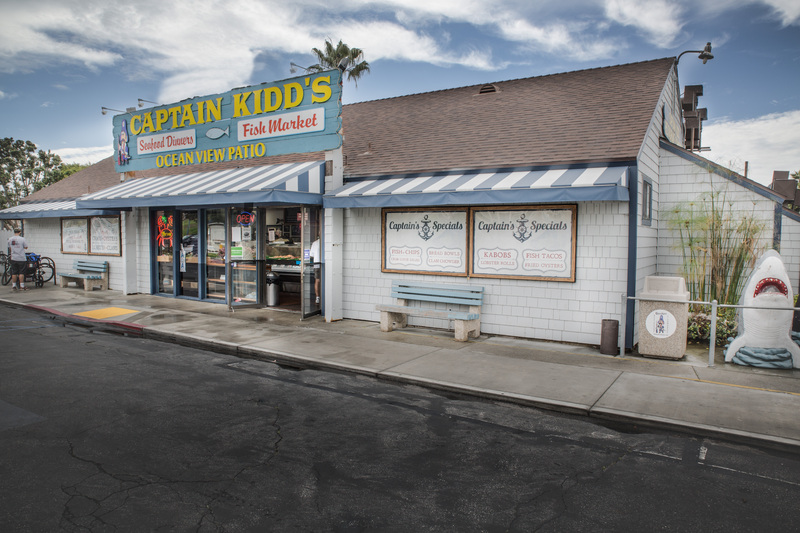 1700 S Catalina Ave., Redondo Beach. (310) 543-6800. Easy Reader review. This little restaurant serves an authentic menu of pretzels, salads, sausages and fried potatoes, with an array of German beers to wash them down. This is the fare offered at the street stalls called wurstlibars in Germany, simple and hearty. 1332 Hermosa Ave. Hermosa Beach. (310) 376-6532. Omelets, oatmeal and granola bowls with fruit and French-style egg sandwiches on croissants or lightly sweet brioche toast are all familiar. 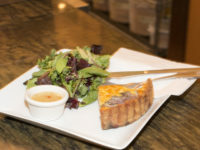 Most interesting is the Croque Monsieur, which means “crunch this, sir.” It’s a ham sandwich topped with Gruyere cheese and baked until the cheese melts. Croque Madame is the same thing, with a poached egg on top. 37 Pier Ave. (310) 374-0026. Easy Reader review. 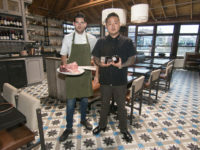 This chef-driven restaurant in downtown Hermosa is a leader in culinary creativity, featuring fresh seafood (sole, bass, scallops, fish and chips, sea stew) and steak, lamb and pork chops. 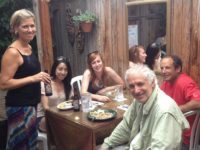 There are also many vegetarian and vegan options here, and the staff are experts with wine pairings. 1501 Hermosa Ave. Hermosa Beach. (310) 376-2084. 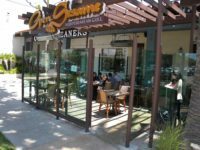 Though Creme de La Crepe now serves fondue and offers a wide-ranging menu, the core is still crepes. 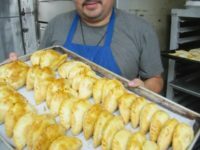 They make their savory batter with buckwheat flour and sweet with white flour and fill them with all manner of delights. 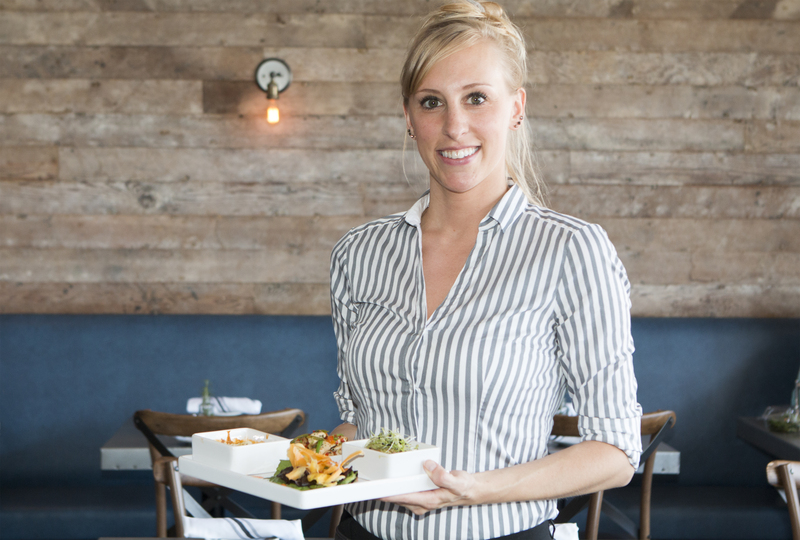 The Hermosa Beach location has a slightly more ambitious bistro menu than the location in Redondo. 424 Pier Avenue, Hermosa Beach. (310) 937-2822, and 1708 1/2 Catalina Ave. Redondo Beach. (310) 540-8811. Easy Reader Best of 2015. Dia de Campo takes Mexican tradition and adds a hefty shot of daring experimentalism. 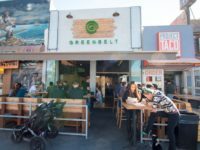 Hermosa Beach is an unlikely center for this particular breed of culinary elan, but we have geniuses in our midst who have decided to see what can be done with foods from south of the border, and genius makes its own rules. 1238 Hermosa Avenue, Hermosa Beach. (310) 379-1829. El Pollo Inka chicken is marinated in a secret blend of spices, rotisserie cooked and then served with an addictive Peruvian spicy garlic and chili sauce. 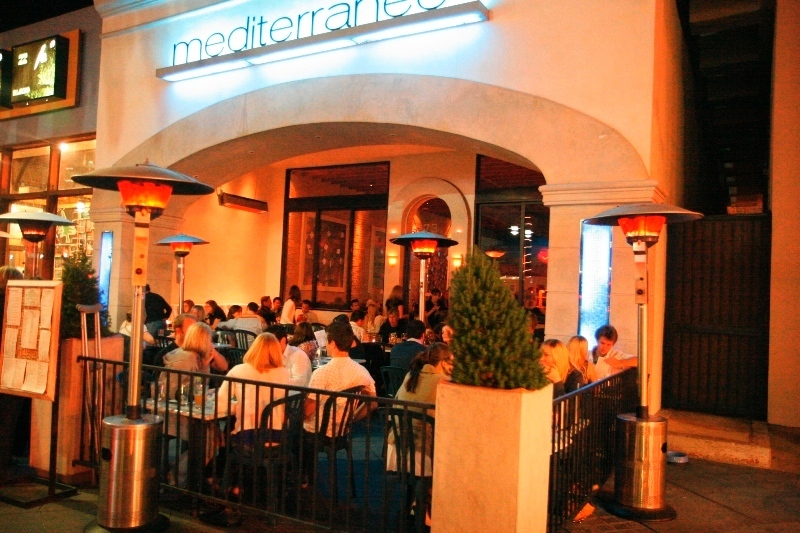 Mediterranean and South American ideas come together in a wonderful way.1100 Pacific Coast Hwy. Hermosa Beach (310) 372-1433, also 23705 Hawthorne, Torrance. (310) 373-0062. 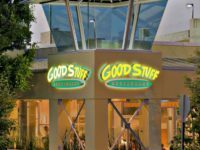 Family-owned Good stuff has been keep beach people healthy for over three decades with its farm fresh food, long there was a farm to table restaurant trend. 1286 The Strand, Hermosa Beach. (310) 374-2334. 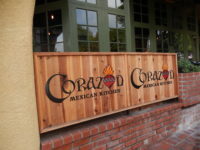 1617 Pacific Coast Hwy., Redondo Beach, (310) 316-0262. 131 W Grand Ave, El Segundo. (310) 647-9997. 550 Deep Valley Dr #151, Rolling Hills Estates. (310) 544-8000. 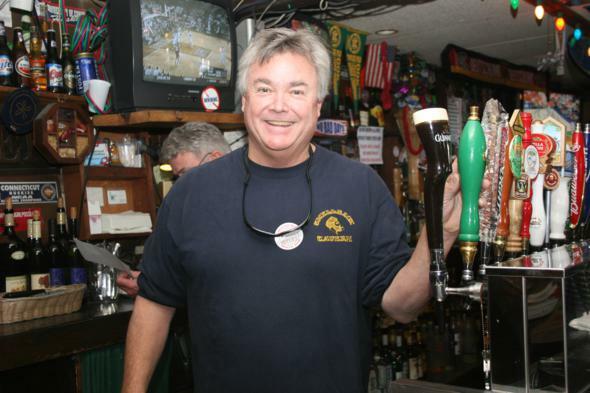 Before gastropubs there was Hennessey’s Tavern, a beer and burger bar that has stood the test of time. 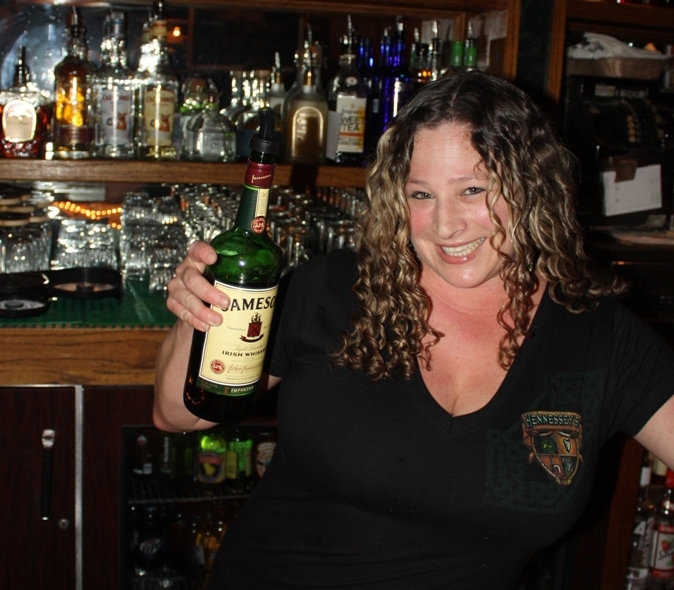 The menu has expanded, but Hennessey’s hasn’t forgotten its roots, as evident in its Dublin burger, Guinness Fish and Chips and Jameson Ribs. 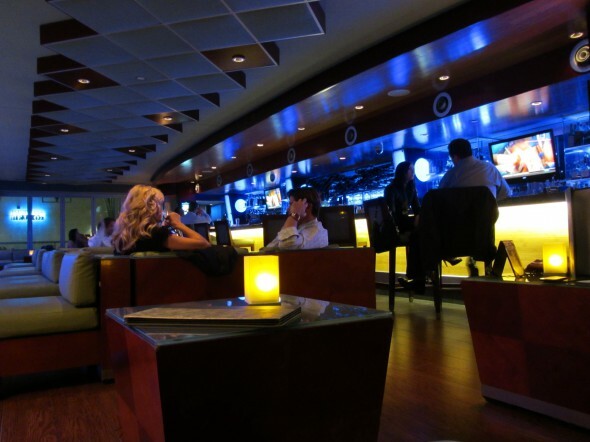 Its Hennessey’s location has rooftop dining with a PV to Malibu and Pier Plaza dining for people watching. 8 Pier Ave., Hermosa. (310) 372-5759. 313 MB Blvd., Manhattan (310) 546-4813. 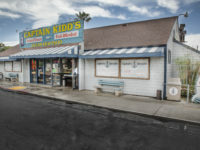 1712 S. Catalina Ave., Redondo. (310) 540-8443. This family owned, neighborhood haunt offers traditionally prepared combo plates, regional specialties (Arrachero, with grilled steak, potato green chili and onions) and popular breakfast burritos with 20 ingredients to choose from. 824 Hermosa Ave. Hermosa Beach. (310) 937-5606. “Let food be itself. What can I do to these cherries, these pears, to let them explore their own personality? With a little heat, a little flour and butter they become something else while still remaining cherries, pears, and peaches. I might take Bartlett pears and add a little saffron, a little vanilla because the saffron gives it earthiness, the vanilla a little bit of sensuousness.” — Baker David Wallace. 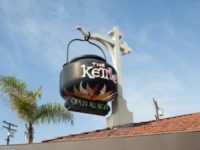 133 Hermosa Ave., Hermosa Beach (310) 374-2323. It’s a lively, bustling space. The menu hits all the modern notes. 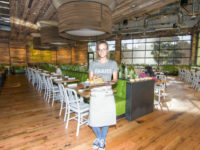 The restaurant’s slogan is “farm to table, ocean to plate,” which fits the current culinary craze, and it offers the craft beers that are required in any place catering to a younger crowd. 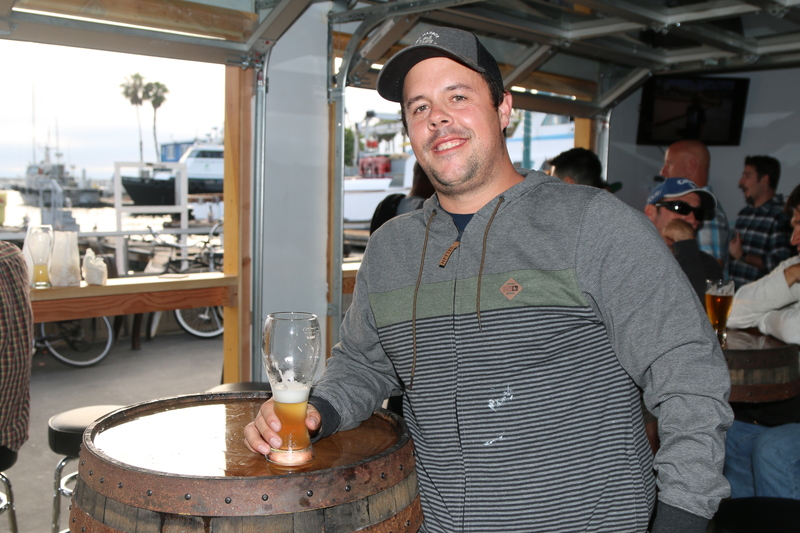 425 Pier Ave. Hermosa Beach (310) 937-5909. 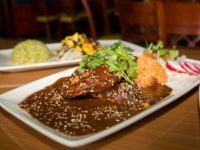 La Playita’s location a block north of Pier Avenue has kept it under the radar, but its mole dishes, margaritas and lovingly tended rose garden draw a steady stream of surfers in the morning and neighbors in the evening. 37 14th Street, Hermosa Beach. (310) 376-2148. Martha’s 22nd Street Grill doesn’t have the most baroque offerings or the widest selection, but their omelette’s popularity is no mystery. 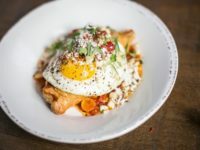 They’re light and fluffy and there are little touches like the housemade ranchero sauce that make these offerings personal. The ocean view patio, espresso and Champagne add to the experience. 25-22nd St. Hermosa Beach. (310) 376-7786. Any resident of Madrid would immediately recognize much of what is served here. The grilled Spanish chorizo, mussels vinaigrette and seafood salad would taste like home. 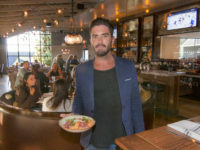 Others are un-Spanish but evoke Mediterranean flavors and it’s not a stretch to imagine a Spanish visitor to Hermosa going home and recreating something they tasted here. 73 Pier Ave. Hemrosa Beach. (310) 318-2666. Easy Reader Best of Tapas. 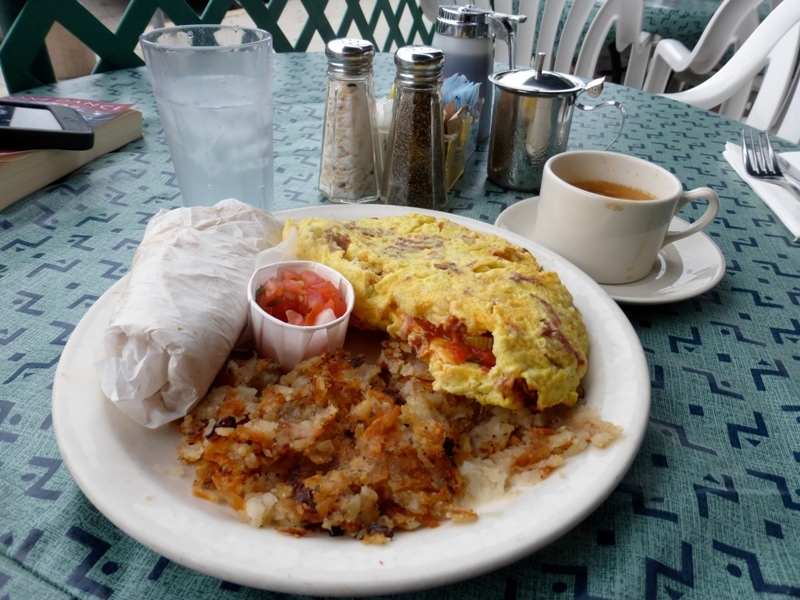 Ocean Diner’s website describes their meals as bringing back “memories of Grandma’s kitchen,” which isn’t quite true unless your grandmother was an early adopter of tofu and breakfast burritos. Those items aside, the offerings here are mostly traditional American favorites like meatloaf, pork chops, sandwiches, and the omelets and breakfast dishes that propelled the Ocean Diner to fame. 959 Aviation Blvd. , Hermosa Beach. (310) 372-3739. Palmilla’s distinctive blending of Mexican and Latin American influences is highlighted by Mayan-styled plasterwork. Designer Gulla Jonsdottir was awarded “Best Design of the Year” by Esquire. 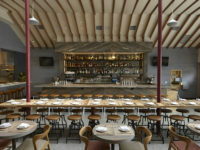 The menu focuses on regionally influenced, contemporary Mexican cuisine featuring fresh seafood, organic meats and tortillas made in the kitchen. Best of the Beach cocktails. 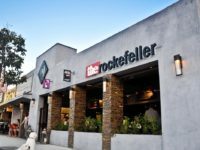 Rockefeller focuses on food but doesn’t relegate beer to an afterthought. Its flights of beers are drawn from a very good selection of microbrews. The room is open, with the feel of a sidewalk café. 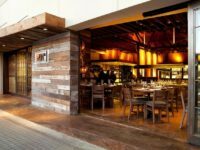 The main courses include braised short rib tacos with pepper-orange salsa and also grilled fish tacos, burgers and flatbreads. 1209 Highland Ave., Manhattan. (310) 545-5810. 422 Pier Ave.,Hermosa. (310) 372-8467. 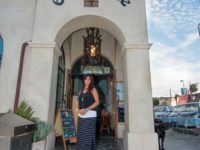 Easy Reader Review Hermosa Beach. Easy Reader Review Manhattan Beach. 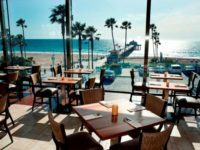 Scotty’s may be the only place on the waterfront in Southern California where a breakfast omelette is under $10 and grilled salmon is under $20, making it a daily habit for many locals. 1100 The Strand, Hermosa Beach. (310) 318-7152. 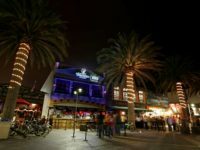 Sharkeez’s deserves much of the credit for the blossoming of Hermosa’s Pier Plaza into one of the most popular nightclub scenes in Southern California. Following a devastating fire in 2006 Sharkeez raised the bar with a dramatic new nightclub whose Mexican menu that rivaled its neighboring Mexican restaurants. 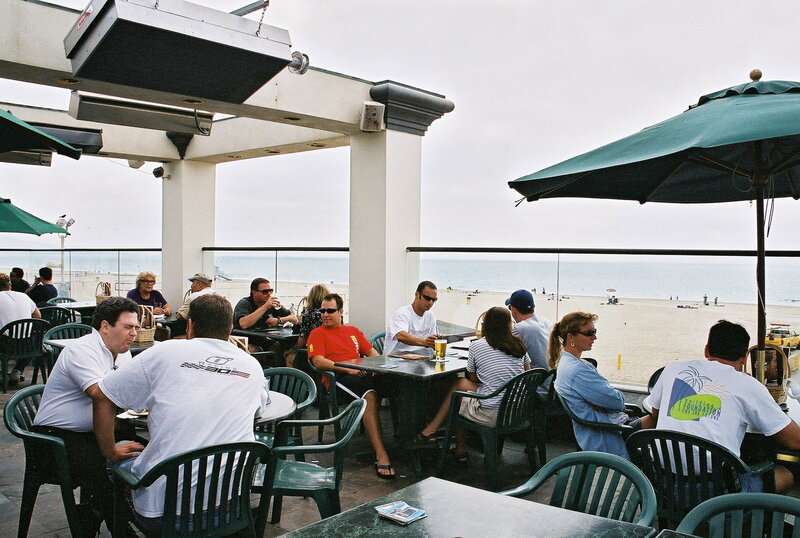 52 Pier Ave., Hermosa Beach (310) 318-0004. 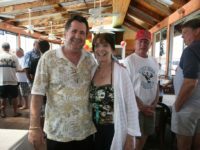 Easy Reader Best of the Beach Happy Hour. Standing Room is most famous for their ‘everything-in-the-refrigerator’ Napoleon Burger. But there are others, with items as exotic as sesame leaves, Korean spicy bean sauce, habanero cream coleslaw, kimchi, and smoked gouda. You can even get a burger with iceberg lettuce and American cheese. 1320 Hermosa Ave. Hermosa Beach. (310) 318-1272. 144 N. Catalina Ave., Redondo Beach. (310) 374-7545. Easy Reader Best of the Beach Burger. Standing Room Menu. Rich flavors and superb ingredients catapult Steak and Whiskey to regional acclaim, featuring both stratospheric quality and prices. 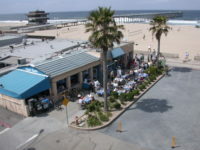 117 Pier Avenue in Hermosa. (310) 318-5555. The Spot is one of the only local restaurants that can use the words “World Famous” and have a credible claim. 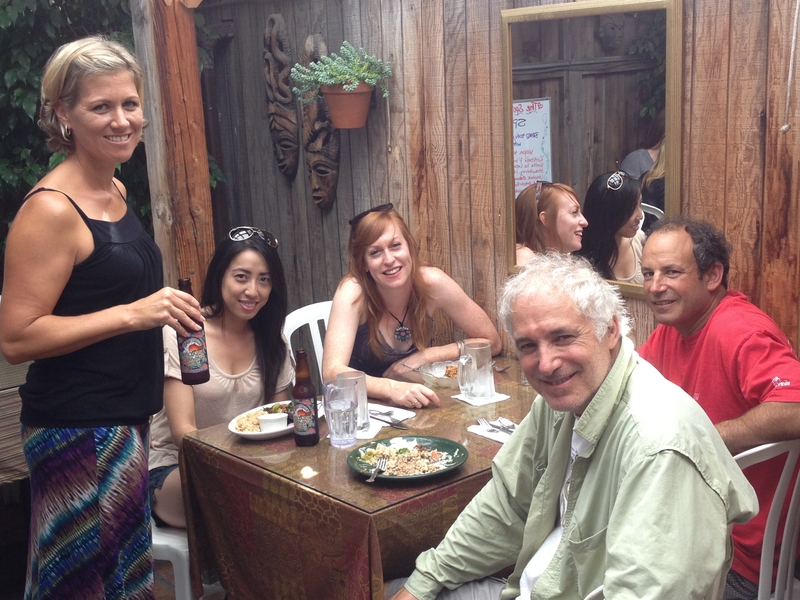 The Spot has been a place of pilgrimage since 1977 and is the oldest vegetarian restaurant in greater Los Angeles. 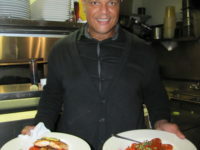 Some of the dishes have been on the menu from the beginning. 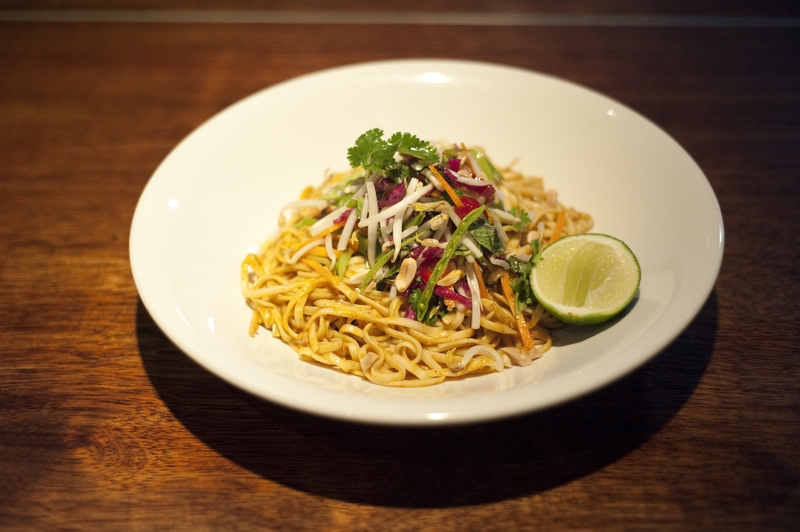 But credible vegetarian renditions of Mexican, Italian, and Japanese dishes are also offered. 110 Second St., Hermosa Beach. (310) 376-235. Easy Reader Best of Vegetarian. The Arthur J.is mid-century visually and the kitchen serves up dishes in that spirit, but made attractive to a contemporary palate. Some very modern items are served in the blue-flowered Corningware baking dishes that were in every kitchen when Eisenhower was president. The menu is heavy on steaks, naturally, but there is much more here. 903 Manhattan Ave., Manhattan Beach. (310) 878-9620. 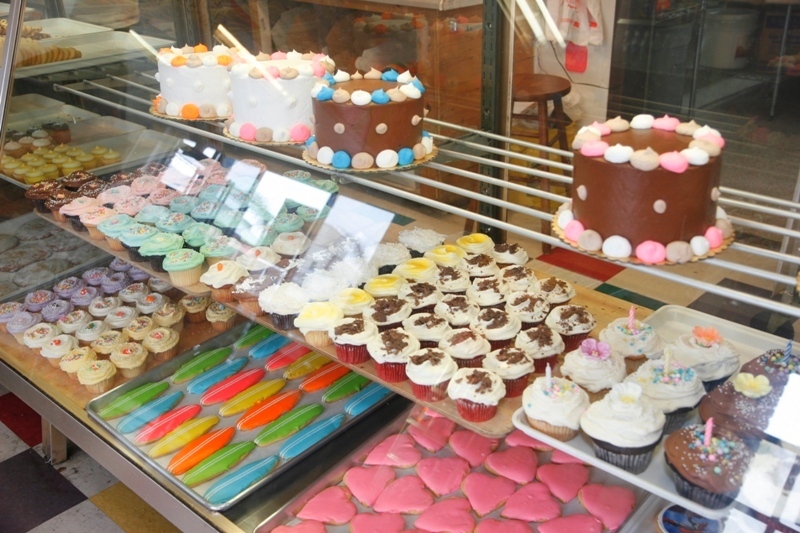 Becker’s is one of the oldest bakeries in all of greater Los Angeles. It’s been owned by the same family since 1942. 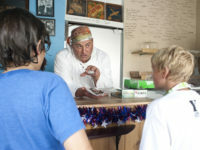 It has been the go-to place for generations of beach people and newcomers figure out pretty quickly that they haven’t been in business this long by accident. 1025 Manhattan Ave. Manhattan Beach. (310) 372-3214. 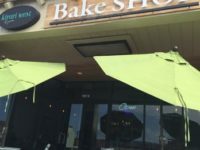 Best of the Beach Bakery. There are offerings that move past mere competence and on to brilliance. The Grilled Sea Scallops with Baby Squash in Black Bean Sauce is amazing, a spicy light, and memorable dish. The Roast Duck Breast in Orange-Plum Sauce is not all that original an idea, since Chinese restaurants often serve duck with a rather heavy, sweet plum sauce. But the lighter, tarter version here has a citrus hint that suits the tender meat. 3282 N. Sepulveda Blvd., Manhattan Beach. (310)546-7284. 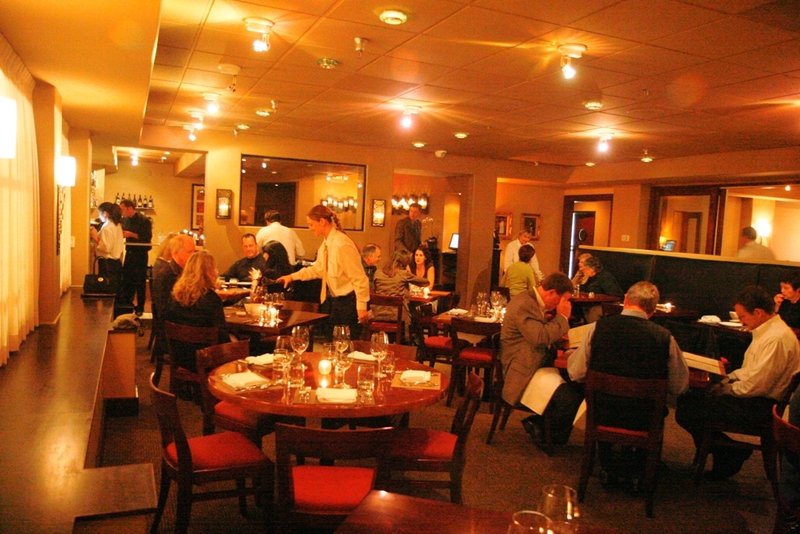 Half of the menu is global and Mediterranean-influenced. 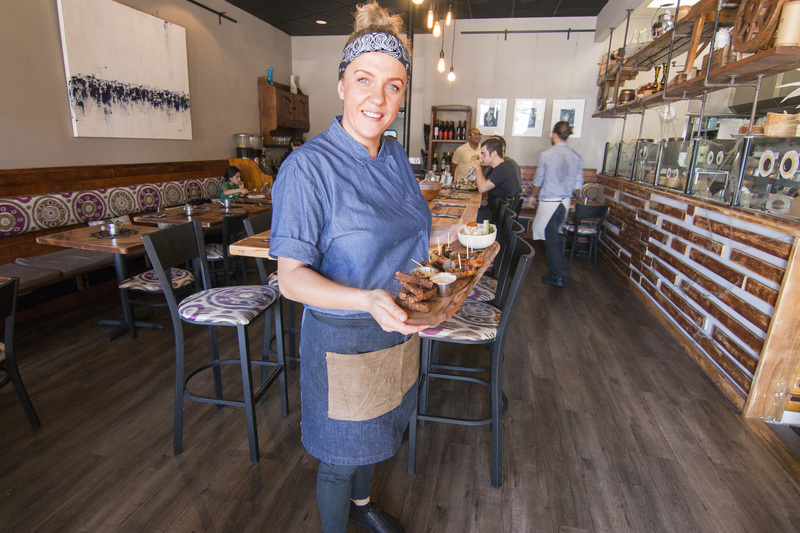 You can get charcuterie, a quinoa or Nicoise salad, braised beef short ribs, and other modern items. But the Central Asian entrees are as strong and the Siberian chicken dumpling soup with dill and the plov will make you wonder why this region’s food isn’t more popular. 3562 North Sepulveda (Manhattan Village), Manhattan Beach. (310) 647-3157. 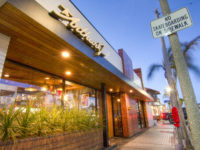 For over four decades El Sombrero has been satisfying Manhattan Beach’s craving traditional Mexican food, faithfully prepared from old family recipes. 1005 Manhattan Ave. Manhattan Beach, (310) 937-6258. 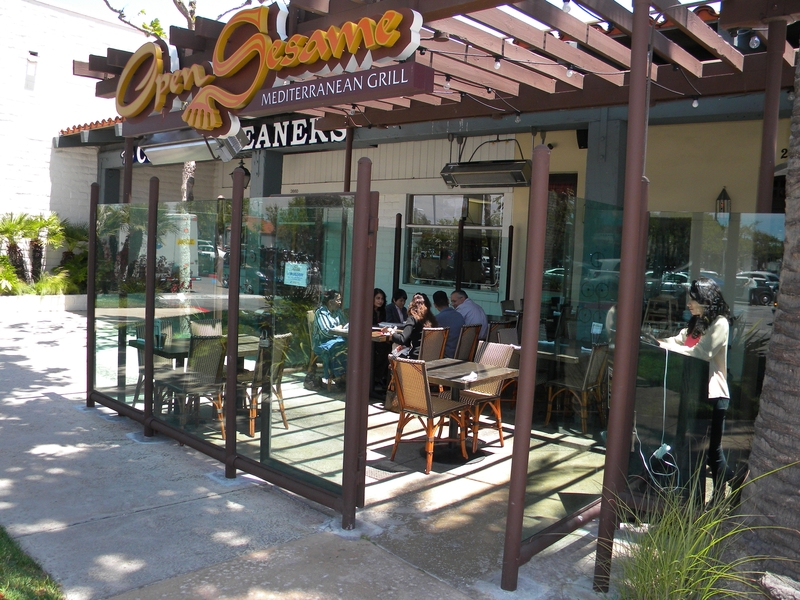 (Artesia & PCH) 1157B Artesia Blvd., Manhattan Beach, (310) 376-5005. 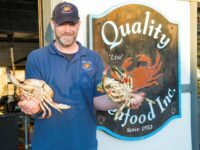 Fresh and simple fish dinners at modest prices with a few steaks and burgers so non-pescetarians aren’t completely left out. 3801 Highland Ave. Manhattan Beach. (310) 796-0200. Regional American interpretations of seafood & steak, plus signature cocktails, in a bustling space. 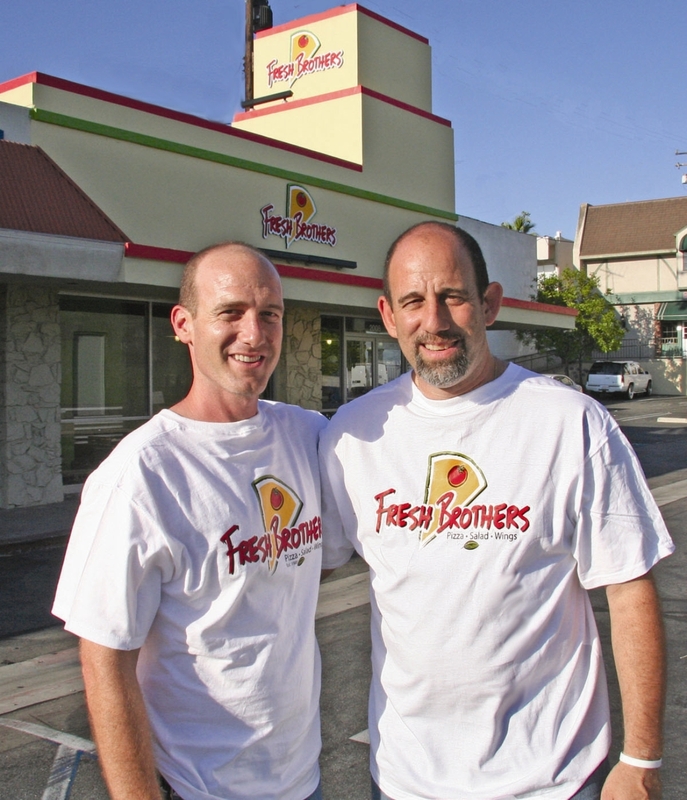 The family-owned Fresh Brothers offers pizza with a thick or thin crust, topped with healthy vegetables or with a vast pile of meat and they offer a variety of sizes from individual to a pie that will feed a small army. 407 N. Pacific Coast Hwy., Redondo Beach. (310) 374-5678. 2008 Sepulveda, Manhattan Beach. (310) 546-4444. Easy Reader Best of Pizza. If MB Post chef David LeFevre was a painter, he’d be doing baroque paintings. You can imagine how many words might be needed to describe the culinary equivalent of that painting in the context of a menu. 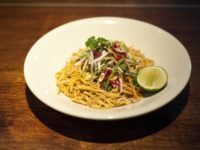 The menu is post-cultural, with American, Asian, Middle Eastern, and other influences alongside dishes that are native only to the chef’s head. 1142 Manhattan Ave., Manhattan Beach. (310) 545-5405. Easy Reader review. This local institution that has been the favorite of night owls since 1973. You get a warm welcome and comfortable environment at a time of night when your other options are fast food chains and raucous nightspots. 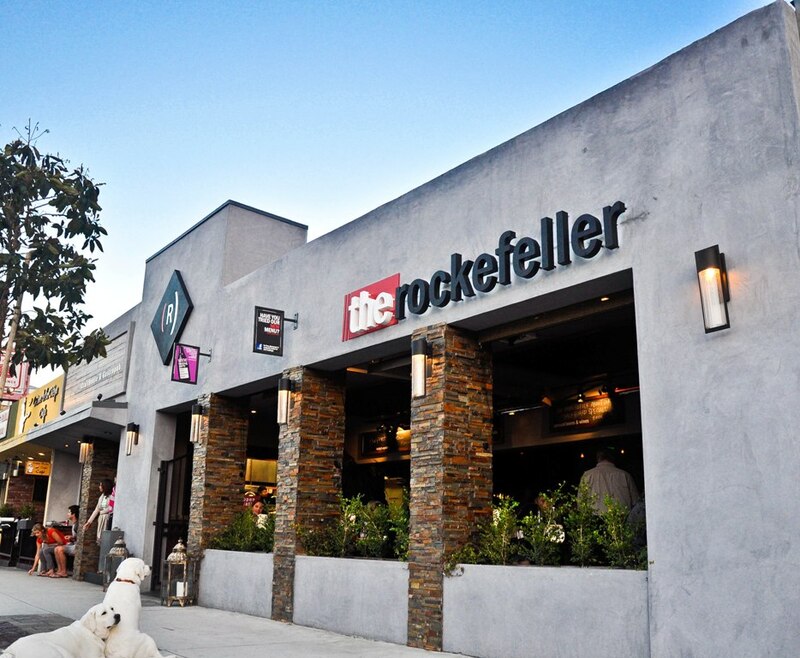 1138 Highland Ave. Manhattan Beach. (310) 545-8511. Easy Reader Best of the Beach Nightspot. The fusion here is less between Asian and European than between ancient and modern Asian ideas. 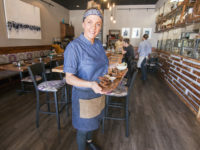 The offerings reflect the diaspora of Chef Tin’s family, who left China and were dispersed throughout Southeast Asia before reuniting in California. 1131 Manhattan Ave., Manhattan Beach. (310) 545-2096. 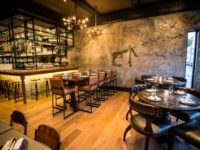 Love & Salt is a collaboration between veteran restaurateur Guy Gabriele, his daughter Sylvie, and acclaimed chef Michael Fiorelli. There’s a logic to the new space, which is bright, loud, and dynamic. 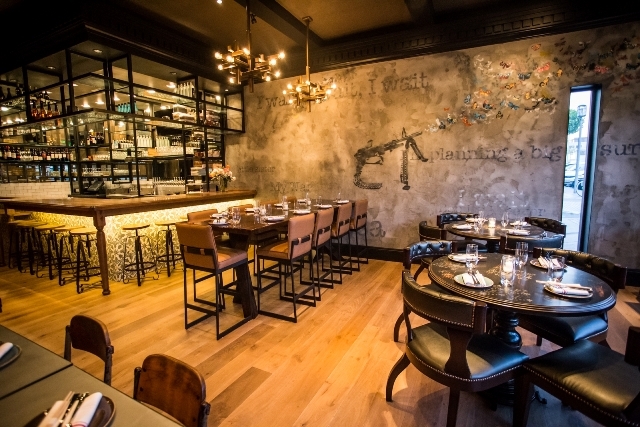 If you prefer a quieter experience you can make a reservation for a table along the west wall. 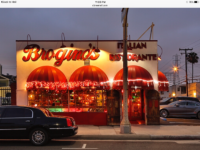 317 Manhattan Beach Blvd., Manhattan Beach. (310) 545-5252. MB&B makes bagels the old-fashioned way, boiling rather than steaming them before baking, so the crust has the chewy texture beloved in the old country. All the popular varieties are here: plain, egg, garlic, whole wheat, and newer varieties with blueberries, cranberries, and the like. 1812 N. Sepulveda, Manhattan Beach. (310) 545-7553. Best of the Beach Bagel. 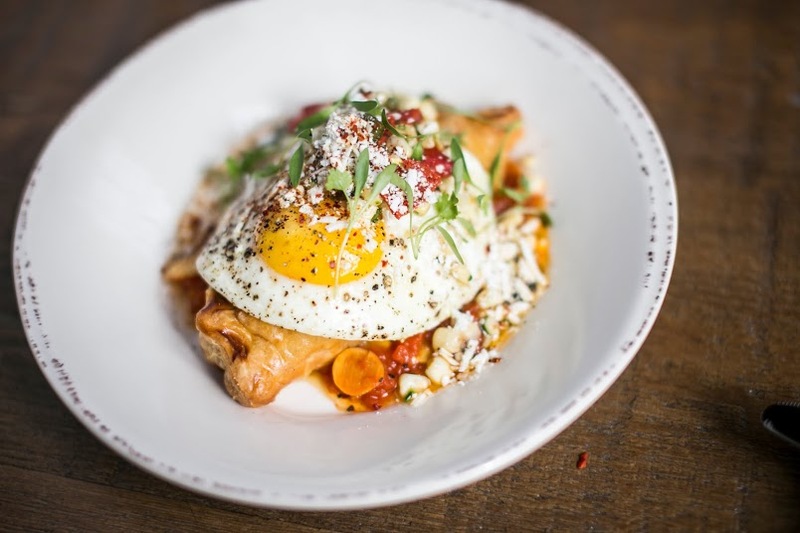 Manhattan House Gastropub is a farm-to-table gastropub using hyper-local ingredients. 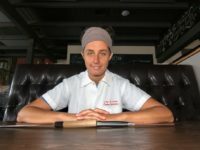 Chef Diana Stavaridis has a distinctive style and vision. 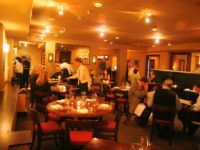 The menu is relatively short and divided into small and large plates, with notes about items made in-house or by boutique producers. 1019 Manhattan Beach Blvd. (310) 546-1492. Rockefeller focuses on food but doesn’t relegate beer to a mere afterthought. Its flights of beers are drawn from a very good selection of microbrews. The room is open, with lots of wood and the feel of a sidewalk café. Main courses include braised short rib tacos with pepper-orange salsa and grilled fish tacos. 1209 Highland Ave., Manhattan. (310) 545-5810. 422 Pier Ave.,Hermosa. (310) 372-8467. 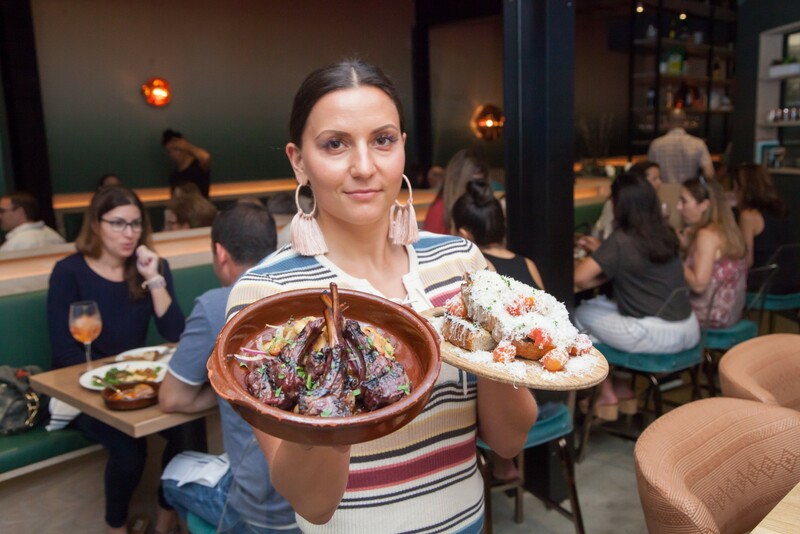 The South Bay’s most stylish Middle Eastern restaurant introduced a new level of sophistication when they opened in 2009, attracted by fine food in an atmosphere that is contemporary but evokes the Arabian Nights. 2640 Pacific Coast Hwy., Manhattan Beach. (310) 545-1600. Easy Reader Best of Middle Eastern. 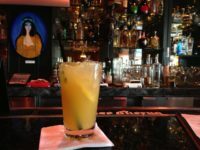 Sharkeez anchors the nightlife in Upper Manhattan with a Mexican mesquite menu with an emphasis on fish and a happy hour with 25 cent second drinks. 3600 Highland Ave., Manhattan Beach. (310) 545-8811. Easy Reader Best of the Beach Bar Food. 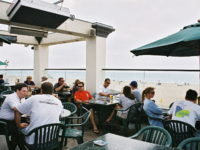 Shellback is a neighborhood bar with a view of the ocean and Manhattan pier. 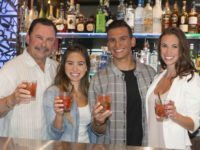 It’s Bloody Mary’s and bartenders are are both local favorites. 116 Manhattan Bch. Blvd., Manhattan Beach. (310) 376-7857. Easy Reader Best of the Beach Bartender. 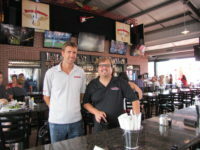 Simmzy’s is loud and lively with plenty of beers on tap and excellent burgers, including a cheeseburger with aioli and a variety of available add-ins, and a deluxe version with blue cheese, candy bacon and frizzled shallots. They make a glorious mess. 229 Manhattan Beach Blvd. Manhattan Beach. (310)-546-1201. Easy Reader Best of the Beach Burger. 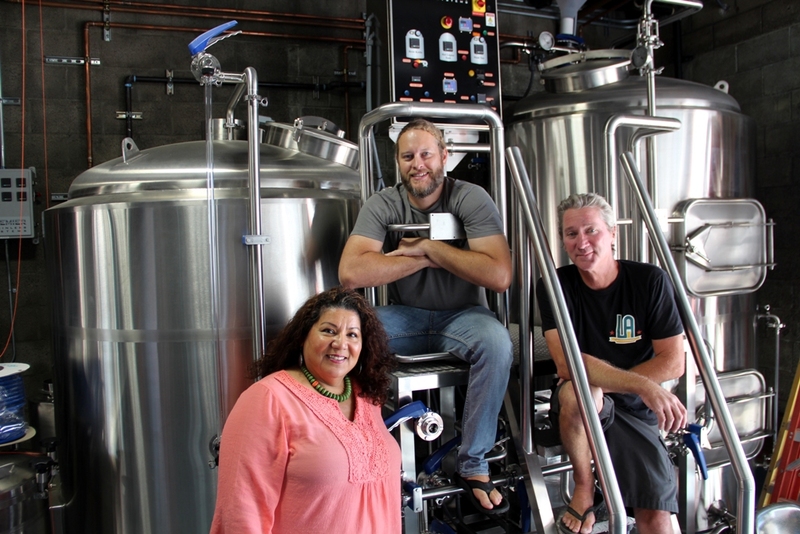 Vibrant alehouse garners raves for its wide variety of draft microbrews, casual grub & ocean views. 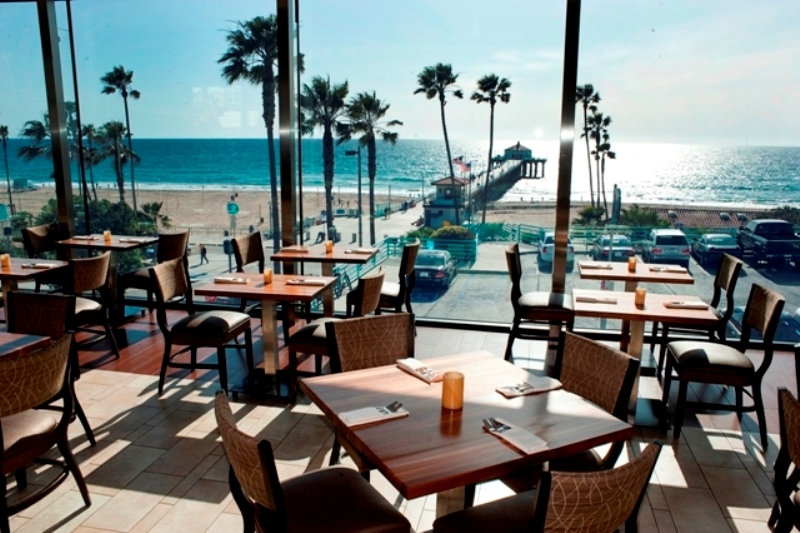 A true fusion of coastal living with Los Angeles nightlife. Start with a craft cocktail and some of our unique small plates or order a main and a glass from our extensive California wine list. Cool, hip, comfortable, inviting, we transcend the traditional beach feel with modern blurred lines that blend indoor-outdoor living. 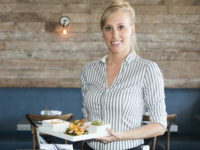 Zinc’s eclectic menu offers cheese and charcuterie plates for those who like quality ingredients laid bare, pizzas and salads for hearty snacks and more complex and inventive items for culinary adventurers. 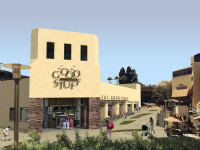 1221 Valley Dr., Metlox Plaza, Manhattan Beach. (310) 546-4995. Easy Reader review. Zinc Menu. 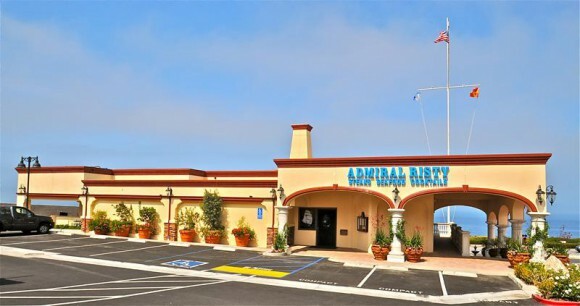 At Admiral Risty’s 50th anniverdary, State Assemblyman David Hadley said the restaurant had out lasted the average American marriage, including many of which began at the special occasion restaurant, known for its flank steak, cioppino, house cured gravlax and house baked deserts and bread. 31250 Palos Verdes Dr. West, Rancho Palos Verdes. (310) 377-0050. Easy Reader review. Admiral Risty Menu. 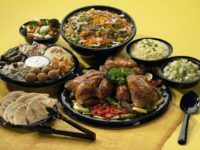 One of the most successful purveyors of Lebanese style chicken is Chicken Maison, which started in Torrance and now has five locations. They stand out both for the variety and inventiveness of their menu, which goes far beyond just chicken. 2709 Manhattan Beach Blvd. Redondo Beach. (310) 725-0035. 3901 Pacific Coast Hwy. Ste D., Torrance. (310) 465-1050. 50 Peninsula Ctr. Rolling Hills Estates (310) 541-8080. 15900 Crenshaw Blvd. Gardena (310) 327-7373. Easy Reader review. Chicken Maison menu. The menu is a straightforward list of old favorites, but look closely and you’ll see a differences. The cilantro Alfredo sauce on the shrimp enchiladas straddles Italian and Mexican ideas, and the calamari is marinated in buttermilk and served with cilantro aioli. A vegetable mix of zucchini, squash, onions, and corn is used as an accompaniment to several dishes; they’re all traditional Mexican ingredients, but rarely served this way. 767 Deep Valley Dr., Rancho Palos Verdes. (310)377-0580. Easy Reader Review. 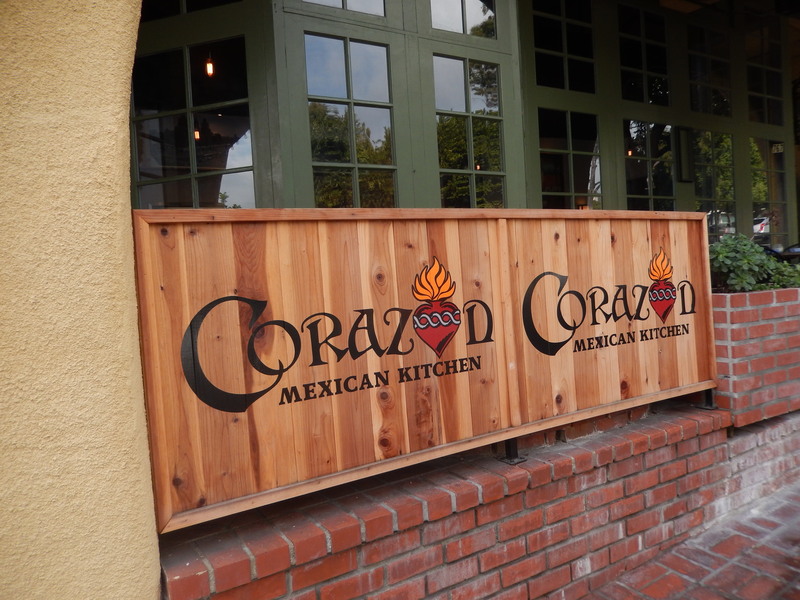 Corazon Menu. With its view of Catalina Island, Mar’sel is cozy rather than opulent, with simple clean lines, wooden paneling, a fireplace, and glass on two sides. An ocean view never goes out of style. The menu is short – 10 starters and nine entrees – but extremely interesting, a mixture of relatively simple items made with premium ingredients, and some more adventurous combinations. 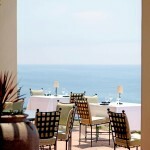 100 Terranea Way, Rancho Palos Verdes. (310) 265-2836. Easy Reader review. Mar’sel. 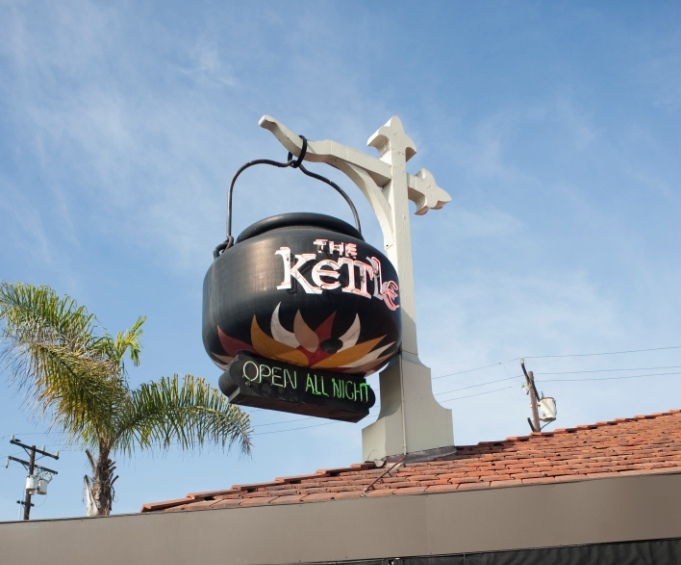 True California Coastal Cuisine with LA nightlife. Start with a craft cocktail and fresh oysters from our raw bar. Then move on to one of our coastal inspired main dishes with a glass of wine from our extensive list or one of our many craft beers on tap. Overlooking the marina, with sweeping views from Palos Verdes to Malibu enjoy our plush outdoor seating with fire pits and heaters. 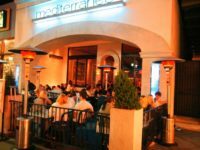 Cool, hip, comfortable, inviting, we transcend the traditional beach feel with modern lines that blend indoor-outdoor dining. Open for Breakfast, Brunch, Lunch and Dinner, we invite you to enjoy Chef Aaron Robbin’s culinary talent in our luxurious setting. At most sports bars the food is an afterthought, but here somebody has their eye on satisfying people who want a good meal. The ribs are slow-baked, the portion substantial and came with a potato, salad and choice of several homemade dressings. 800 S. Pacific Coast Hwy, Redondo Beach. (310) 316-2832. Easy Reader review. Avenue A Menu. 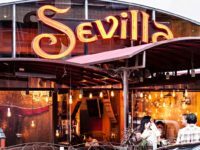 Chef Bernard Ibarra describes his offerings as “the bar food of San Sebastian, Bilbao, and Pamplona. 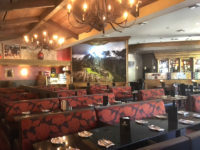 It is similar to tapas, to bruschetta, but called pintxos, which means spike – it is because the meats, seafood, and other items are held on slices of bread with a toothpick.” 136 N. International Boardwalk, King Harbor, Redondo Beach. “ Easy Reader review. A Basque Kitchen Menu. 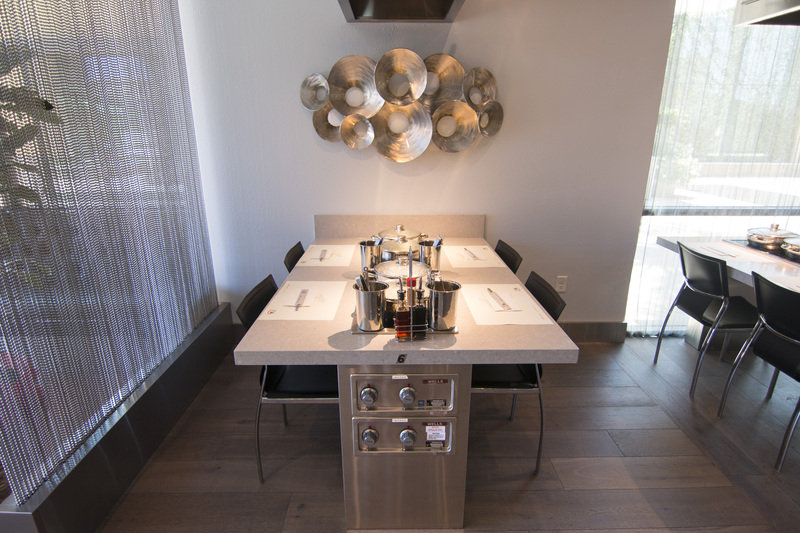 Chef Fabio Ugoletti offers exciting, modern ideas. Fresh ingredients are front and center, pastas are freshly made, and the presentations are sometimes startling. Tuna tartare is topped with thin slices of toasted bread poised like a ship’s sails, with a crown of delicate sprouts like seagrass. And yes, raw tuna is an Italian tradition, using flavored oils and raw vegetables where the Japanese would use soy and ponzu. 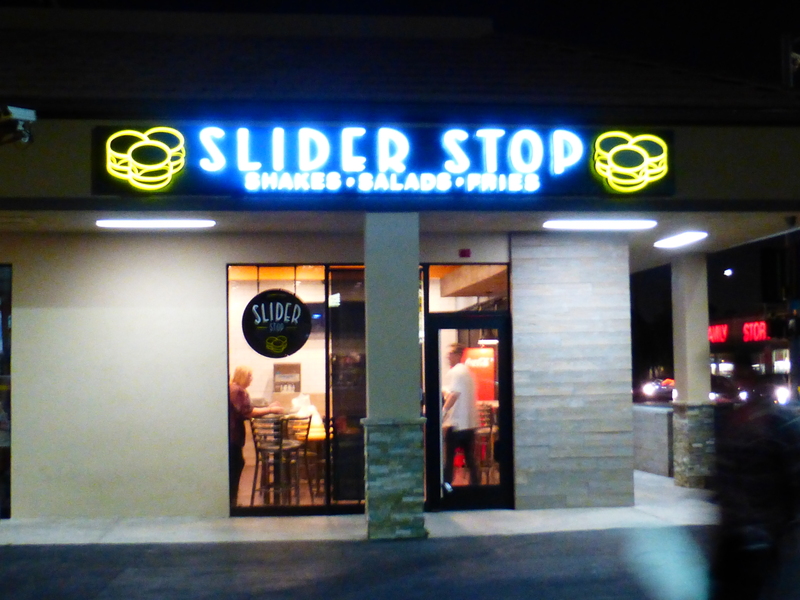 211 Palos Verdes Blvd., Redondo Beach. (310) 375-0500.Easy Reader review. 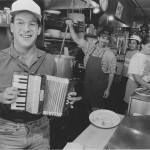 Bettolino Kitchen. Famous for its fine fish and chips. Crunchy batter, as many fryer-fresh fries as the average person can hold. The hush puppies and chowder are favorites. 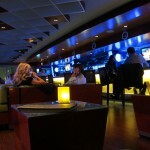 209 N. Harbor Dr., Redondo Beach (310) 372-7703. Easy Reader Best of Fish and Chips. Captain Kidd’s menu. 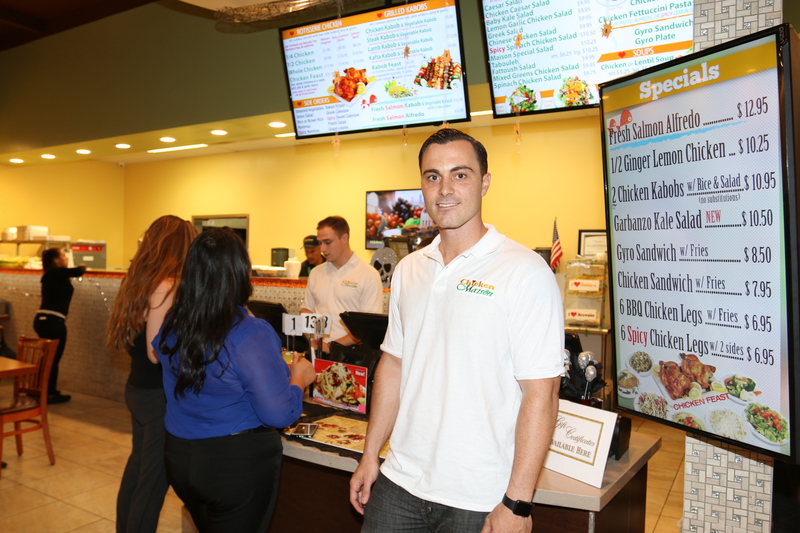 One of the most successful purveyors of Lebanese–style chicken is Chicken Maison, which started in Torrance ten years ago and now has five locations. 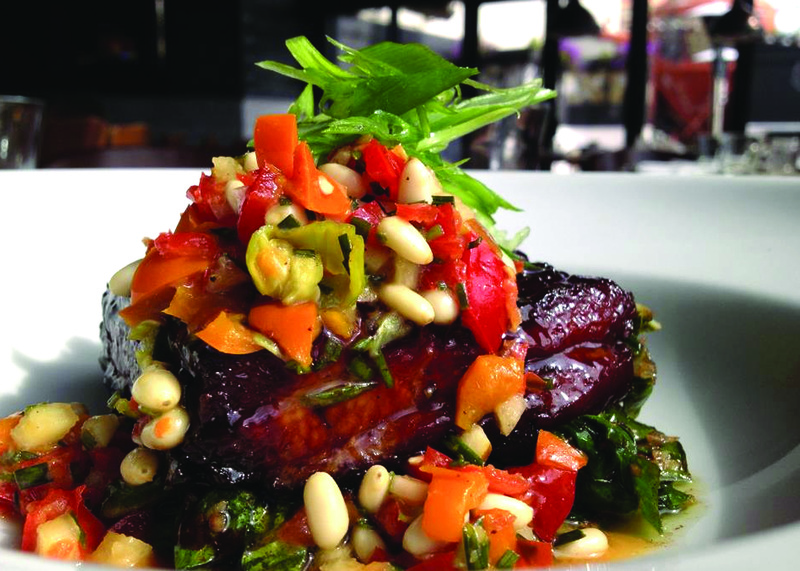 They stand out for the variety and inventiveness of their menu, which goes far beyond chicken. 2709 Manhattan Beach Blvd. Redondo Beach. (310) 725-0035. 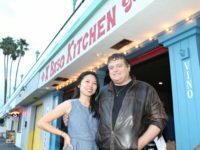 3901 Pacific Coast Hwy. Ste D., Torrance. (310) 465-1050. 50 Peninsula Ctr. Rolling Hills Estates (310) 541-8080. 15900 Crenshaw Blvd. Gardena (310) 327-7373. Easy Reader review. Chicken Maison menu. 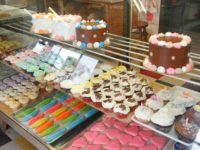 Kirari West is a family owned bakery and café that originated in Japan. Hiro Saito, always an independent spirit and the youngest son in the family, came to the states right after high school to start his life here. 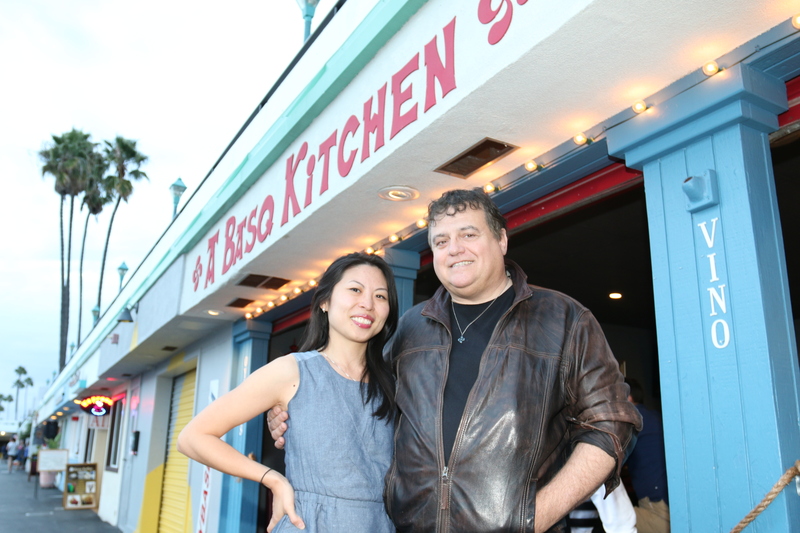 After nearly 2 decades in the restaurant business Hiro opened the first US store in Redondo Beach. Kirari West wishes to deliver quality ingredients, craftsmanship and sincerity through our store to the community. Each diner is given a pot of boiling water with a piece of kelp in it. The kelp makes a very mild soup stock in which vegetables, meat, and noodles simmer. Sauces are offered to anoint whatever comes out of that pot, along with dabs of ginger, garlic, and chopped scallions, but that’s it. The whole experience depends on appreciating briefly boiled protein and vegetables, and the difference between a good shabu shabu place and a bad one is the quality of the ingredients, not the variety. 903 N. Catalina, Redondo Beach. (310) 798-9136. Easy Reader Review. King Shabu Shabu Menu. 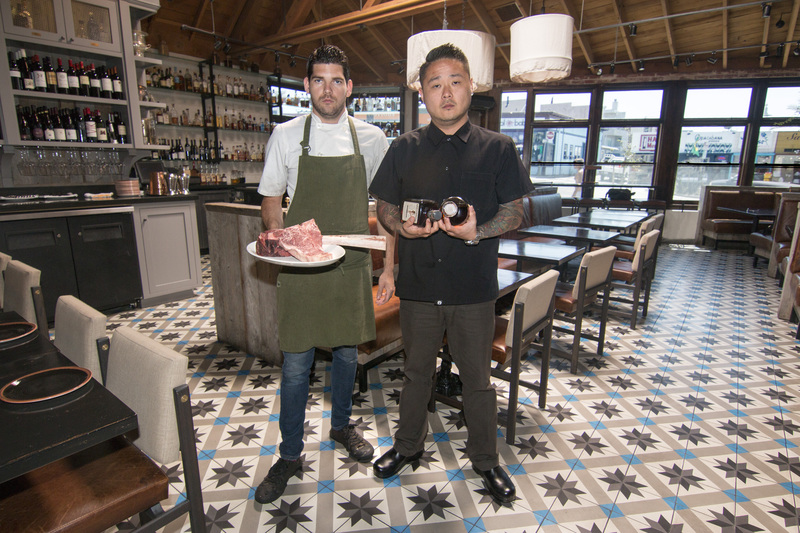 Demi Stevens and partner Thomas Ortega approach tequila and traditional Mexican food with the seriousness, creativity and passion usually reserved for more modern cuisine. 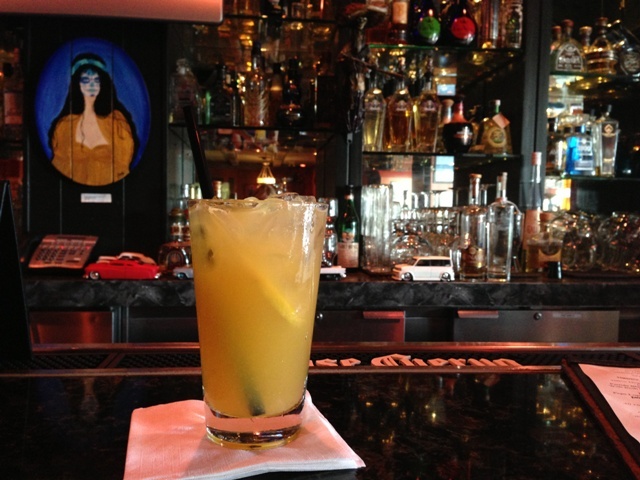 Regarding 120: it denoted how many tequilas the bar at the restaurant served (now it’s up to 200). 1814 Pacific Coast Hwy, Redondo Beach. (310) 792-4120. Easy Reader Best of Tequila Bar. Ortega 120.com. Open since 1953 this stalwart shop offers fresh fish & seafood plus meals to eat in the picnic area. There’s a bit of Disneyland in the whimsical Cajun shack along the wall, but the exuberant collection of Louisiana kitsch stops short of being tacky and contributes to the atmosphere. The gumbo is spicy and smoky with plenty of chicken and sausage, a dusting of chopped green onion adding fresh sharpness. The thick soup with rice and meat is very filling, and a cup of this with bread is a good light meal. 525 South Pacific Coast Highway in Redondo. (310) 540-7403. Easy Reader review. Ragin Cajun Menu. 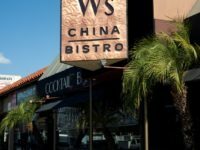 Though W’s China Bistro has a name that leads you to expect tradition, the menu has much more going on — not only Chinese dishes, but Thai, Peruvian, and some items that fuse multiple traditions. Sautéing shrimp with scallions and shallot is very Chinese, but the Chardonnay sauce adds a different dimension and the wok-seared ahi tuna over Chinese vegetables neatly bridges Japanese and Chinese cuisine. Boundaries are crossed fearlessly but thoughtfully. The result is consistently interesting. 1410 South Pacific Coast Hwy., Redondo Beach. (310) 792-1600). Easy Reader Best of Asian Fusian. 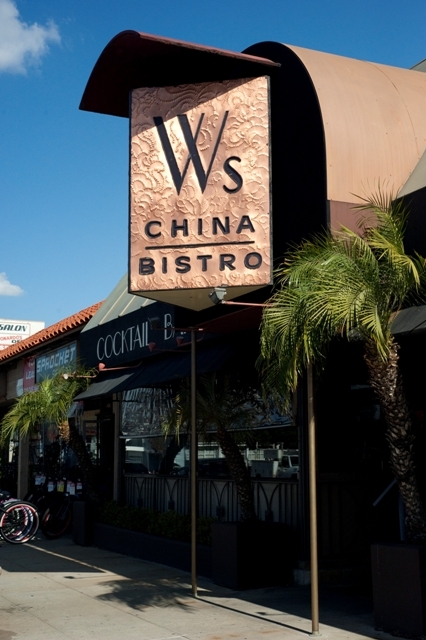 W’s China Bistro Menu. 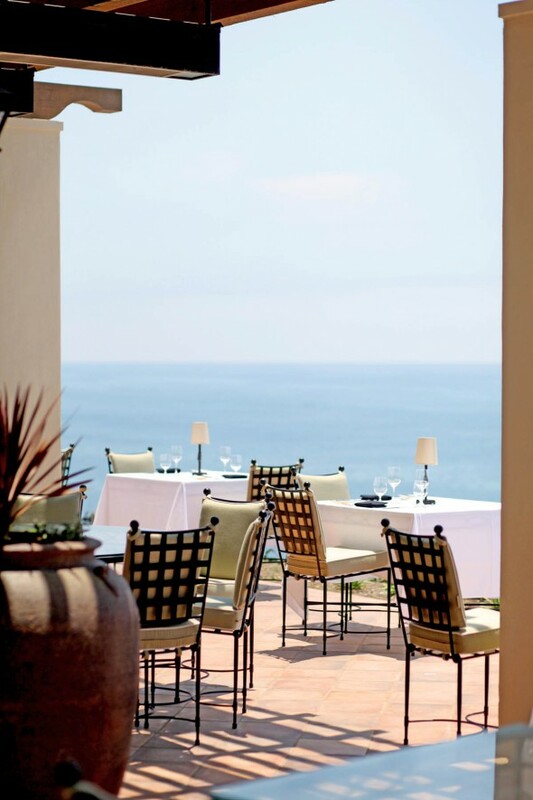 Seafood & cocktails served in a longtime casual dining room offering panoramic views of the Pacific. 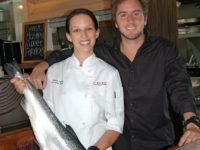 Upscale restaurant in the Portofino Hotel combines a seafood-heavy American menu with harbor views. 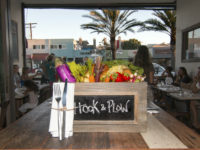 Festive cantina with an outdoor patio offering fish tacos & more amid funky, surf-themed decor. Hey 19 is named after a Steely Dan tune from the 1980s. The décor is eclectic, the menu whimsical in both design and content. 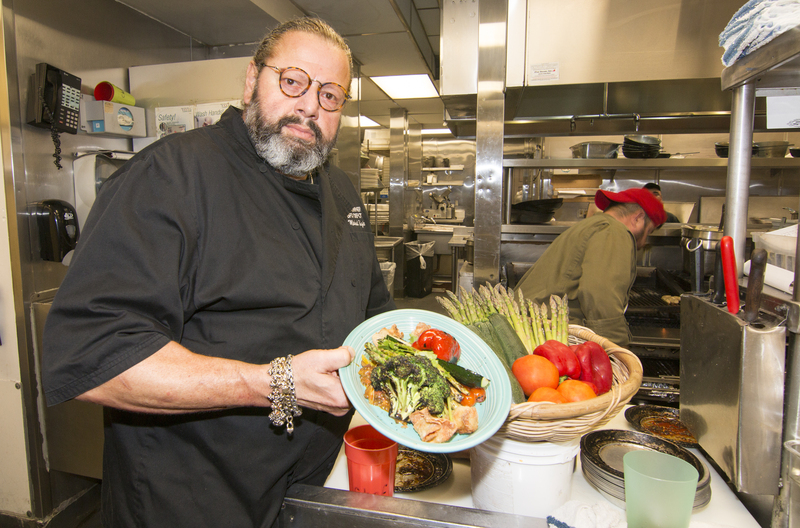 Under chef Vasili Tavernakis some more sophisticated items have been appearing. 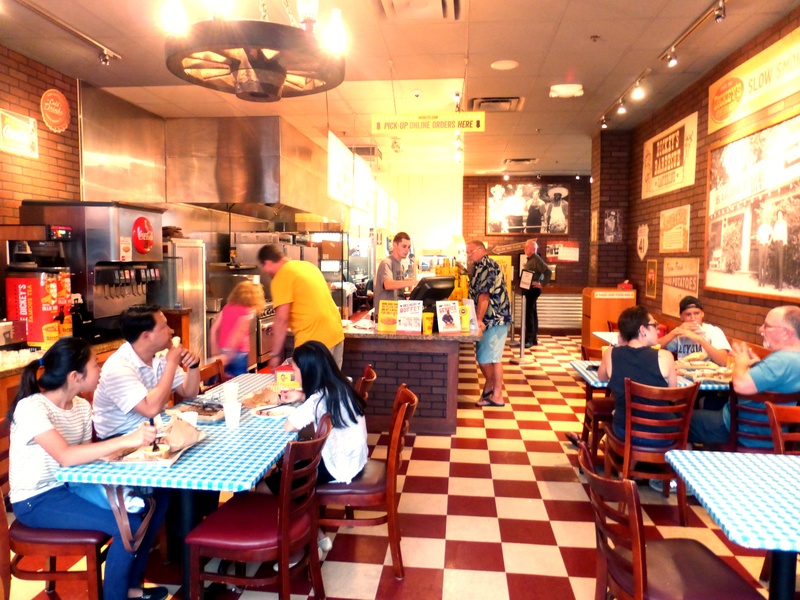 The zucchini fries, plain salad, and an impressive burger are on the list and you can get a retro item like a grilled cheese sandwich with tomato soup. But there are some unabashed novelties as well, such as the bacon-wrapped crackers. 4525 Calle Mayor, Torrance. (310) 378-8119. Easy Reader review. Hey 19 Menu. 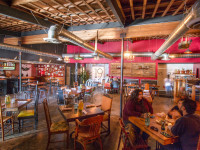 Louisiana-born Steve Roberts has installed a custom-built meat smoker and former Stone Brewing brewmaster Brian Brewer is releasing new brews each week at this roomy, off the beaten track brewpub with an ambitious farm-to-table menu. 5160 W. 190th, Torrance. (310) 214-4677. Hop Saint Menu. 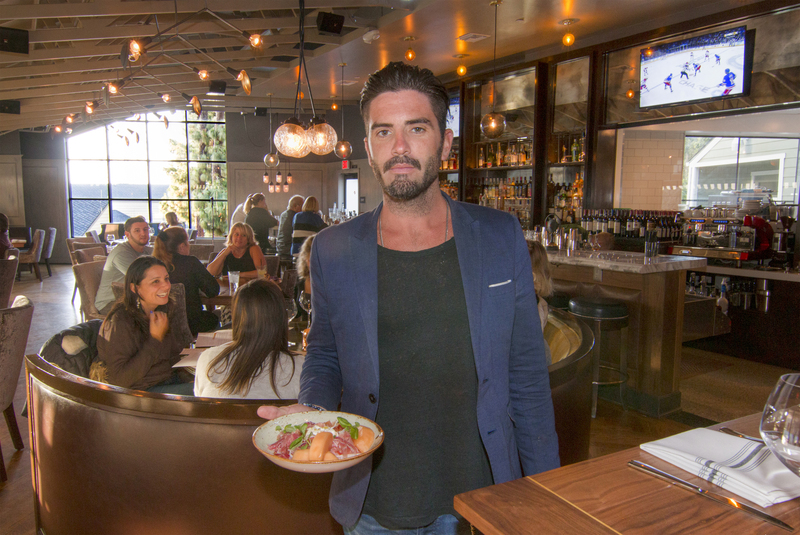 Lou’s on the Hill was crafted by a team that understands hospitality. 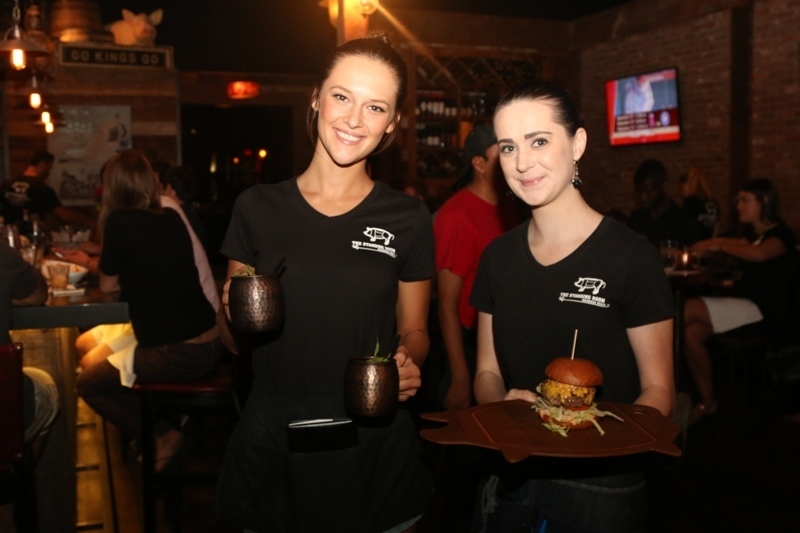 The big room has a modern clubby style and the staff are pros who know their craft. 24590 Hawthorne Blvd. (Hillside Village) Torrance. (310) 378-4288. Easy Reader review. Lou’s on the Hill Menu.